I'm a big fan of mark cosmetics. And frankly, I did not see that one coming. But soon after I began trying their line, I fell in love with product after product. In fact one of my holy grail eye shadow palettes is from mark (this one here). 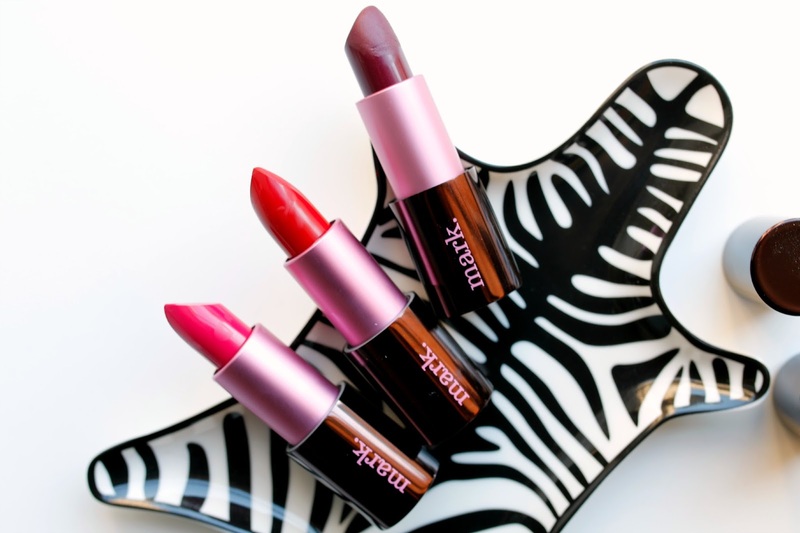 These 3 new matte full color lipsticks just launched, and almost immediately the dark shade in Vixen become a favorite. I opened the box, swatched it on my hand and ran to put it on. Here is my Instagram post wearing it, and I just wore it in yesterday's video here. 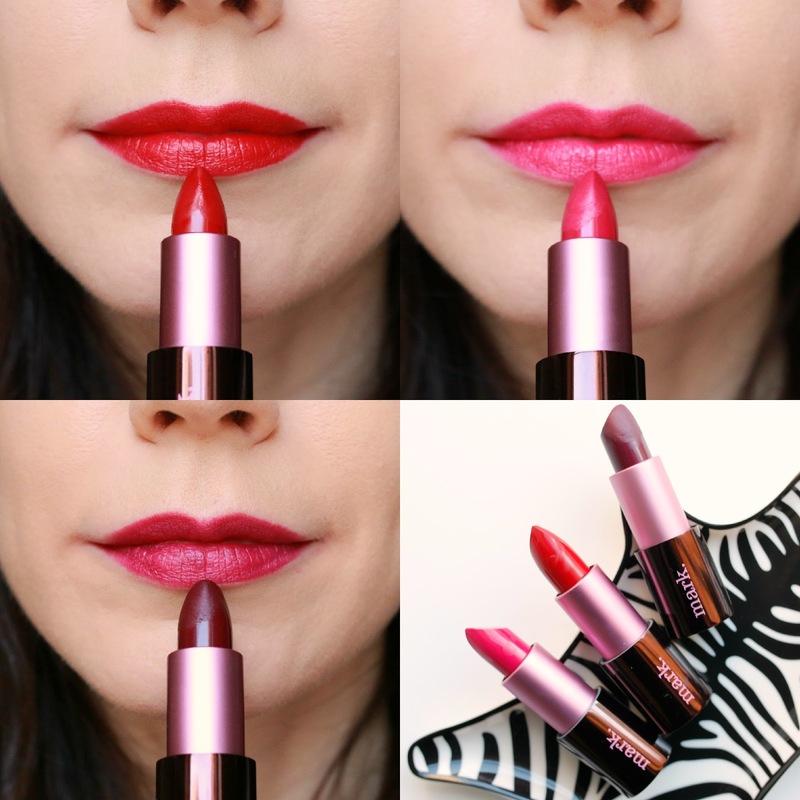 The formula says matte, but to be honest, these feel creamier than a standard matte. The staying power and pigmentation are intense like a matte, but there is little to no drying effect on the lips. I've already talked about my love affair with Vixen, but Siren is equally as stunning. It is a classic red that really stands out. It's a perfect festive red for the holidays and would look beautiful with a shimmering gold eye and neutral cheek. Starlet is actually a bolder fuchsia than the picture shows, and is the shade that I would probably wear the least. However, I did layer it over a deeper raspberry color I had in collection and it helped brighten it up a bit. But Siren and Vixen are still the stunners in this launch, and would look gorgeous on a range of different skin tones.